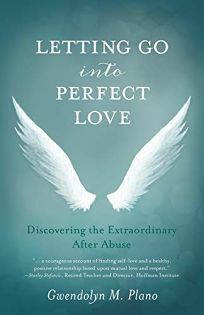 "Logic itself cannot restore us to a place of joy; we need the direct experience of love," Plano counsels in her gripping memoir of surviving domestic violence and coping with the sexual abuse of her daughter. Raised to keep a stiff upper lip when challenged by adversity, she ascribes her long-term post-traumatic-stress disorder to hiding her pain and misinterpreting the Roman Catholic concepts of sin and redemption she absorbed as a child. Her deeply disturbing narrative relates how she separated from a mentally ill husband only to land in a physically and emotionally abusive second marriage, followed by her daughter's victimization by a prostitution ring ensconced in a seminary. Plano also chronicles her struggles to re-establish a healthy relationship with the Catholic Church and a series of transformative events that helped her heal. Ultimately life affirming, her journey will ring true to readers familiar with domestic violence and anyone who feels trapped and crippled by shame and self-blame.